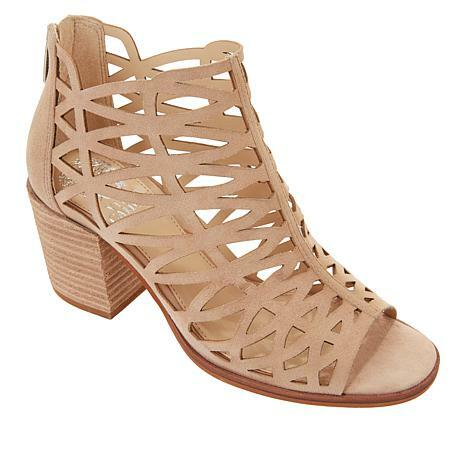 Intricate cutouts open the door for warm-weather wear, turning this shootie silhouette into a versatile sandal you can wear year round. I have worn these shoes several times since I received them. 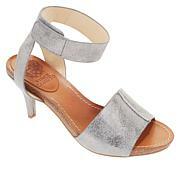 I ordered in my normal size Vince Camuto size and I find them to be comfortable, and stylish. I've worn them all day at work with no issues. I would definitely buy again. They are so cure with jeans, but I think they would be cute with certain dresses as well. These sandals are so cute and stylish.But I wish Vince Camuto would make this same style in a 2 inch heel as opposed to a 3 inch. Love the look of the Sandal ,not the height of the sandal. Thanks. When I removed my shoe the bottom of my feet was black. returned i really loved the style, but that"s a deal breaker. 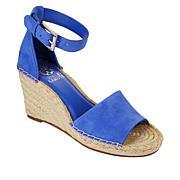 I love all shoes Vince Camuto (VCs). I have been collecting VCs since around early 2000. I have more than 50 pairs of boots, booties, sandals and heels. I am a dedicated "VC WOMAN." I always wear a 11M. Not this time. The 11M was so narrow and uncomfortable, that I returned it. One of the best features of VCs is the soft leather. This shoe was hard and just uncomfortable. Very Disappointed. The "2", is for the style. I really wanted to like these since they are so cute, but the leather wasnt soft enough for my feet and didnt bend with me. I know if I tried to keep them and break them in my feet would hate me. I returned them. Double trouble. This luxurious 2-band slide adds a bit of glamour to an outfit. Whether you're hosting a dinner party or heading uptown, the Griselda showcases your style — and your taste for the finer things in life.